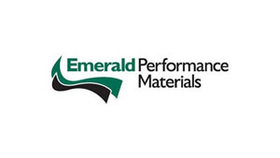 CUYAHOGA FALLS, Ohio—Two separate transactions are in the works involving three companies that will lead to the sale of two of Emerald Performance Materials L.L.C. 's four business groups. Emerald plans to sell its Specialties and Polymer Additives & Nitriles business groups to DyStar L.P., the U.S.-based subsidiary of DyStar Global Holdings Pte. Ltd., headquartered in Singapore. Four production plants and a portion of a fifth are part of the sale. In a separate deal, DyStar said Jiangsu Sinorgchem Technology Co. Ltd. will acquire the Polymer Additives & Nitriles business. Jiangsu Sinorgchem is a subsidiary of Sinochem Group, a state-owned Chinese firm with core businesses in the energy, agriculture, chemicals, real estate and financial services sectors. A producer of specialty chemicals for a broad range of food and industrial applications, Emerald said the sale of the businesses to DyStar, which is subject to regulatory approvals, is expected to close in the third quarter. Financial details were not disclosed by the companies, nor did they say how many employees will be impacted by the acquisitions. Officials at Emerald and DyStar said further details would not be released until after the sale closes. Cuyahoga Falls-based Emerald, which currently employs about 800, did not say why it is selling the two businesses. Once the first transaction is finalized, the number of business groups operating within Emerald will be cut in half, a company official said. CVC Specialty Chemicals and Kalama Chemical are the two that will remain. CVC Specialty Chemicals is a maker of specialty epoxy resins, elastomer modified epoxy resins, reactive liquid polymers, epoxy functional monomers and modifers, catalysts and accelerators. Kalama Chemical, Emerald's largest group, focuses on toluene oxidation chemistry, producing ingredients for a variety of applications. Those business groups operate plants in Kalama, Wash.; Rotterdam, Netherlands; Morristown, N.J.; and Akron. DyStar's purchase of the Specialties and Polymer Additives & Nitriles businesses from Emerald includes four of the company's nine plants, specifically its facilities in Charlotte, N.C.; Cincinnati; Cheyenne, Wyo. ; Henry, Ill.; and a portion of a site in Akron. Upon completion of the dual transactions, DyStar will retain the Specialties business and three manufacturing facilities—Charlotte, Cheyenne and Cincinnati—while Jiangsu Sinorgchem will get the plant in Henry and a portion of the shared facility in Akron once its deal with Dy-Star receives regulatory approval. Emerald's Charlotte plant makes foam control products, specialty silicones, glyoxal resins, repellents and waxes; the site in Cheyenne produces foam control additives; and the facility in Cincinnati focuses on technical dyes and pigment dispersions. Its sites in Henry and Akron manufacture products for rubber, plastic and lubricants while the facility in Akron is also a large producer of specialty nitrile, latex and butadiene-based emulsion polymers. DyStar's U.S. base is in Charlotte, and it has a manufacturing facility in Reidsville, N.C. The subsidiary of DyStar Global Holdings provides customers with a full range of colorants, auxiliaries and services, it said. It intends to keep the Specialties business because “we are enthusiastic about the growth that the combination (of the business with DyStar) will foster,” Ruan Weixiang, chairman of the DyStar group of companies, said in a prepared statement. By purchasing the business, DyStar gains a broad product portfolio that it can add to its global product line, which services multinational retail brands. Combining the operations, the firm said, allows DyStar to expand the reach of the Specialties business group, leverage DyStar's procurement platform to cut costs and bolster all of its businesses with the technical know-how it will gain from the addition. Jiangsu Sinorgchem indicated in a news release it likely will establish a wholly owned subsidiary in the U.S. for the Polymer Additives & Nitriles business once the transaction with DyStar is finalized. It said acquiring the business group will further expand the Chinese company's globalization efforts for the firm's rubber chemicals business while adding to its capacity, strengthening its global supply system, and enhancing its international marketing and supply capabilities. Adding the nitrile division gives the company a solid North American foundation for the manufacture of specialty butadiene and butadiene-acrylonitrile-based latexes. Jiangsu Sinorgchem develops and supplies rubber and chemical additives along with antioxidant products. It exports its goods to customers in various countries, including Asia, Europe, South America, the Middle East and Australia. Founded in 2008 and headquartered in Shanghai, it has subsidiaries in Europe and the U.S. The firm also has a research and development center and other branches in China. Vip Rubber &amp; Plastics Co.